One of the reasons why I’ve not been posting is because I decided to launch a new magazine and it’s been taking up all my time. Once I begin to focus on something, it tends to take over and I can’t rest till I’ve finished what I’ve started. And when you are publishing a magazine, you’ve never ever finished – the minute one thing is done, it’s on to the next! 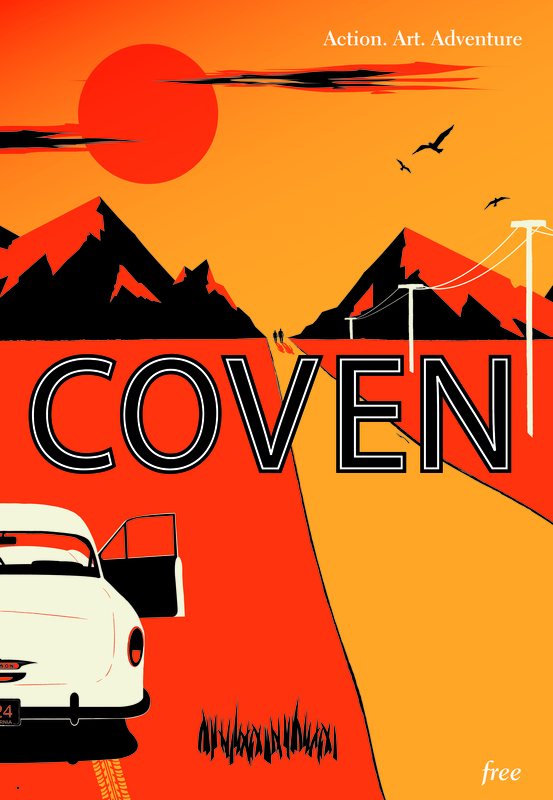 The magazine is called ‘Coven‘ and focuses primarily on action, art and adventure for women. There are a whole host of really interesting, creative and artistic magazines on the market which I thoroughly enjoy, but the lack of women within the covers always disappoints me. I wanted to create a really good magazine for women who are interested in skating, snowboarding, surfing, climbing, bicycles and the like.. you know, the horribly termed ‘free sports’ or ‘action sports’. I wanted to include art, design and culture and all the other things a smart woman might be interested in reading about, plus I wanted the magazine to not just be for kids. The magazine is now at the printers so I really hope we’ve achieved what we set out to with this first issue. Next job is to update our site with all our stockists and get the invite out for our launch at the Red Bull Studios on April 12th.